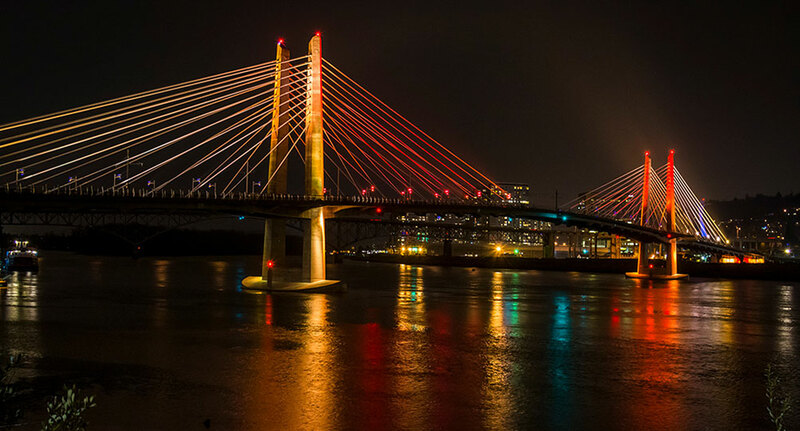 We open up our studios to guests for the evening to see our most recent immersive digital experiences projects. We’re so excited about how 2018 is shaping up that we couldn’t wait until the spring to host another studio party! 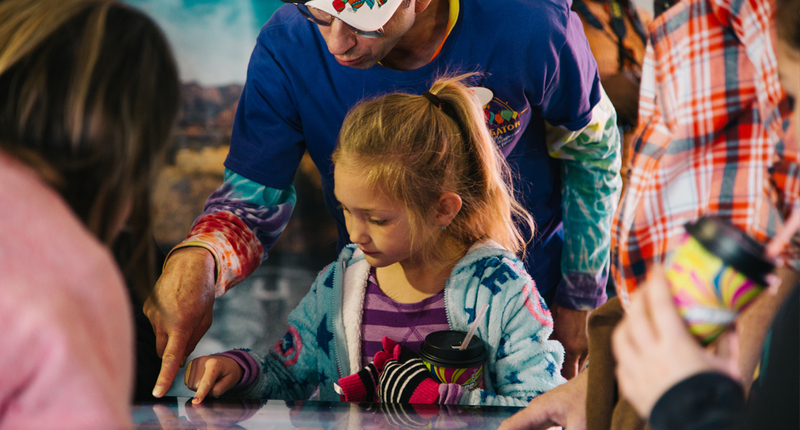 Please join us in February to experience our latest immersive digital experiences and interactive exhibits. We will feature a massive 20 display curved video wall with 10,800 x 3,840 resolution. Guests will be able to step inside the concave structure to be surrounded by experiential graphics and sound created by our digital designers. We’ll also show a new and improved version of our 360 projection mapping project about pueblo pottery. 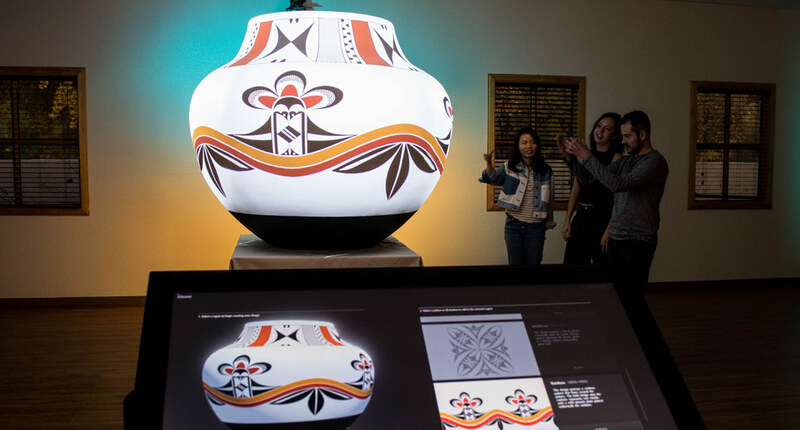 In Exploring Pueblo Pottery guests may select from a range of traditional pueblo designs and see them projected and animated onto an oversized white olla, or water pot, by four projection systems. 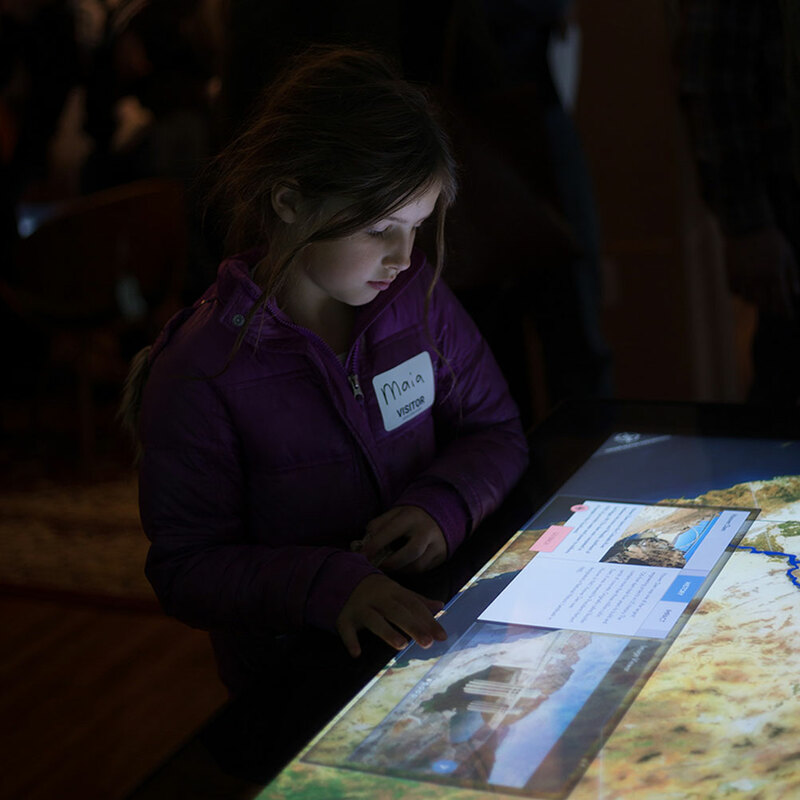 In addition to these large installations, we will have a number of multitouch table exhibits on display such as the Historic New Orleans Collection application. We’ve designed and built an interactive experience for the Historic New Orleans Collection which allows visitors to explore the history and architectural wonders of the French Quarter. Visitors can then save points of interest and curated walking tours onto a companion mobile app to take with them out into the French Quarter itself. 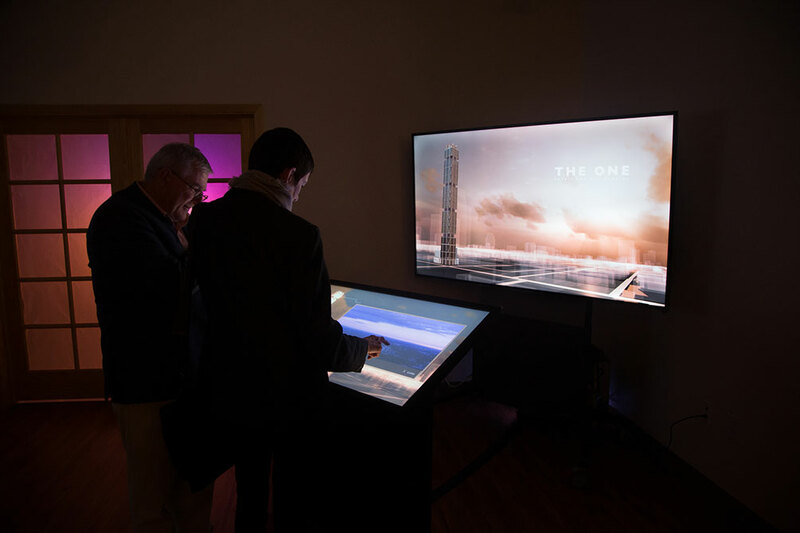 If you are interested in joining us at the Studio Party to see our multitouch hardware products and learn more about the innovative technologies behind our interactive experiences, please feel free to contact us and we will provide the details. 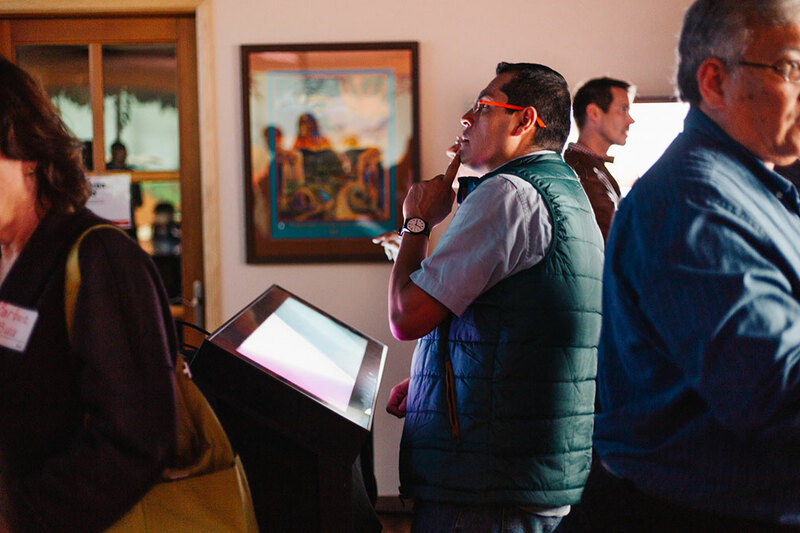 A young guest explores the Hoover Dam ‘Dam Viewer’ application at our Fall 2017 Studio Party. A guest engaged in with an exhibit at our Fall 2016 Studio Party. Guests take a virtual tour of The One, soon to be Canada’s tallest skyscraper.